One of the challenges that face auditors of service organizations when conducting SOC1 (aka SSAE16) engagements is determining when a control is "reasonable in the circumstances." What that means, according to the attestation standard, is that a control must have relevance to Internal Controls Over Financial Reporting (ICFR) for it to be included in a SOC1 report. In a previous post, I demonstrated a method I use to determine if a control is ICFR or not. In this post, I would like to elaborate further in hopes of helping anyone out there who may benefit from this approach. 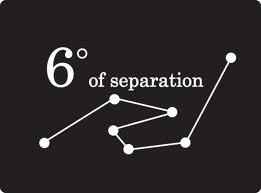 The method I use is called Degrees of Risk Separation (DoRS™). This approach takes the guess work out of the process of determining if a control is ICFR or not by quantifying the number of degrees that separate the control from the risk of material misstatement of the financials. The auditor can then decide how many DoRS are reasonable based on their professional judgment. In my professional judgment controls with three or more DoRS that separate them from the risk of material misstatement are non-ICFR controls. Here are two examples to illustrate the process of determining how many DoRS there are to material misstatement. Control #1: Programmer access to production is prohibited.